Take the hassle out of getting to the shop and parking with our FREE collection and delivery service! Call us or visit our contact page to arrange today. Situated in the prestigious Westbourne ‘village’, with its unique and individual shopping environment, where customers still feel special and service is paramount. 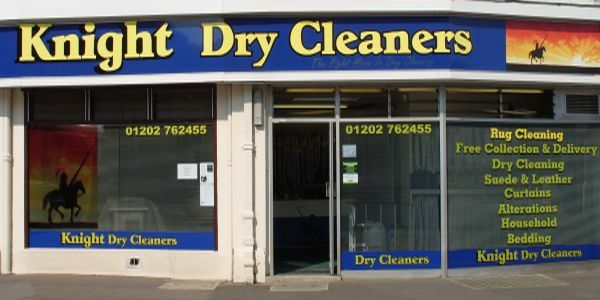 Established for well over 40yrs, Knight Dry Cleaners are your 1st call for truly professional cleaning. From the moment you walk through the door you will be treated as an individual and not a ticket number. Our expertise, advice and smiling faces are all part of the service.